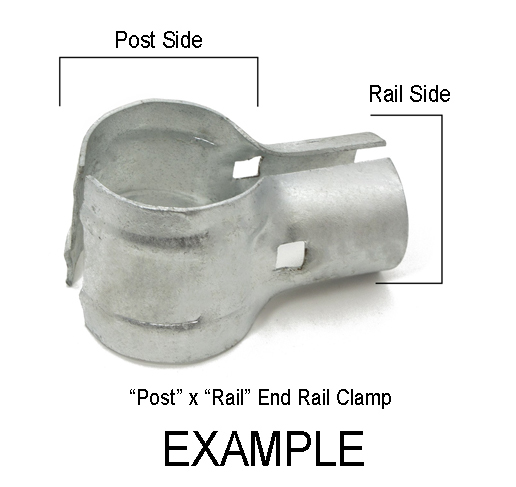 The ERC415 is a 4" x 1 5/8" chain link end rail clamps are used when installing a mid brace on chain link fences. Two pieces included. Chain link end rail clamps (aka t-clamps) are used when installing a mid brace on chain link fences. Two pieces included.